A flexible brand identity built around the theme ‘We love an audience’. iPads at live events have transformed the way companies engage with audiences. However, as tablets become part of everyday life and less ‘new tech’, there has been a shift from ‘hardware’ towards ‘software’ benefits. 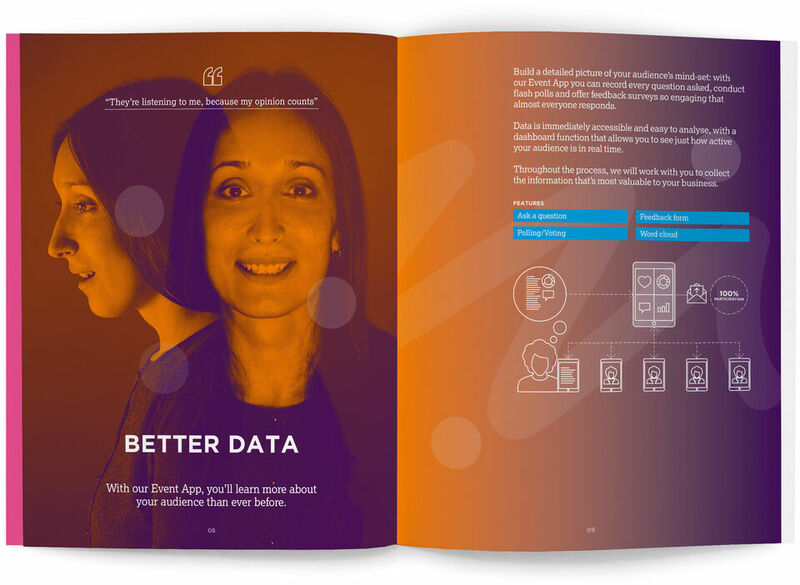 Concise wanted to develop their brand to move away from technology, and focus more on user benefits and their understanding of audiences. Modern corporate events are theatre, and today’s audiences expect a two-way experience. They want to share, connect and have their say. They want to feel valued, listened to and integral to the experience. 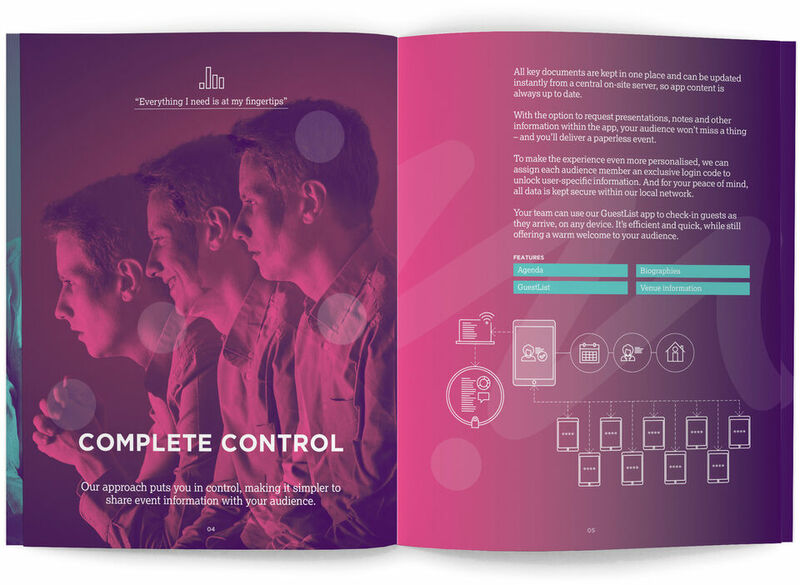 Tablet technology not only enables audience engagement, but also provides a physical interaction – the swipes and taps as well as the constant glow from the screen. Warmth and excitement are also key attributes as people tend to go through a range of emotions and reactions during events. 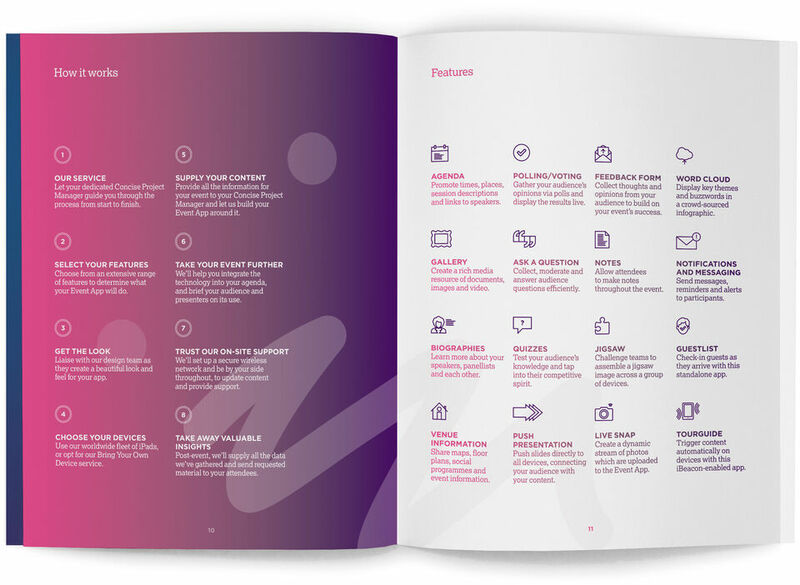 We brought all of this together to create a suite of assets, a new website and corporate brochure. 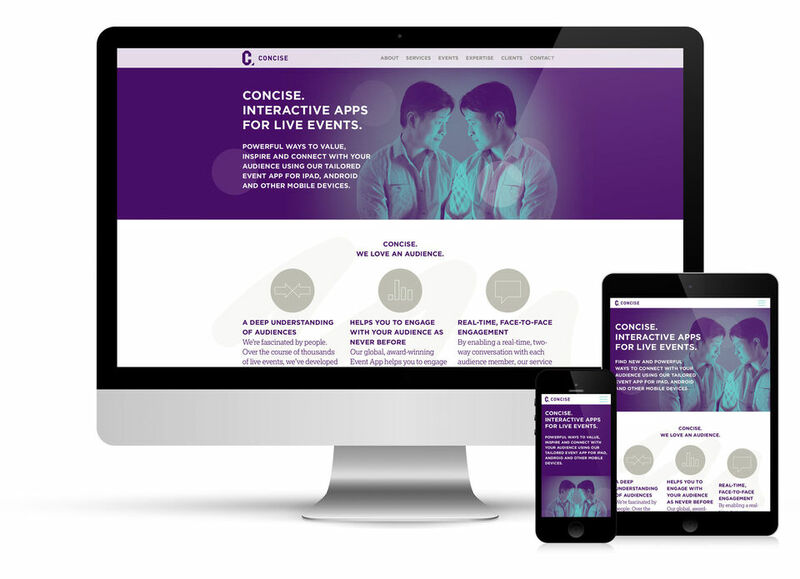 We based the visual components of Concise’s identity on the key elements that make up their events: touch, glow and technology. Using tablets is an intrinsically tactile experience, so we used expressive swipes and taps to give a sense of interaction. The glow from tablet screens and audience reactions led to the photographic style and colour palette, while the high-functioning technical aspects informed the illustration style. Easily combined in different ways, these elements make a flexible yet engaging identity. William Joseph gave so much consideration and careful thought to our needs and our brand personality, that we knew immediately that their recommendations were right for us. The creative work they produced surpassed all our expectations and has proved its worth already with key client wins. 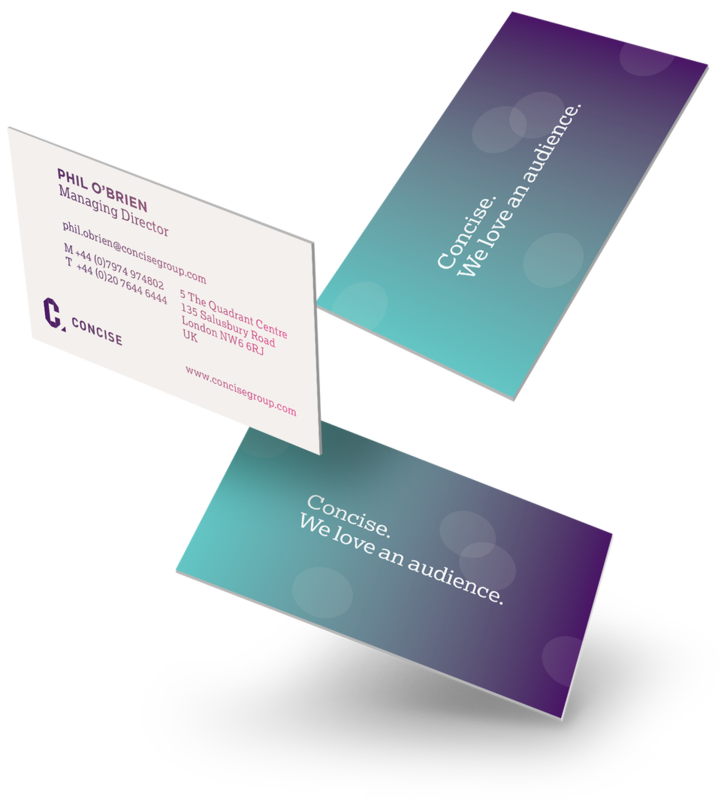 A range of printed materials including stationery and promotional brochures completed the rebrand. 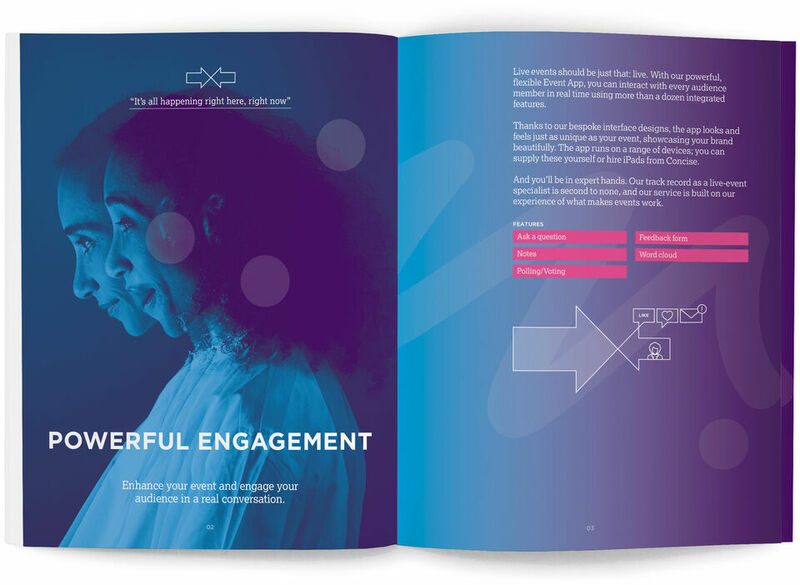 We worked closely with our printers to make sure the ‘glowing’ colours were vibrantly reproduced in print. 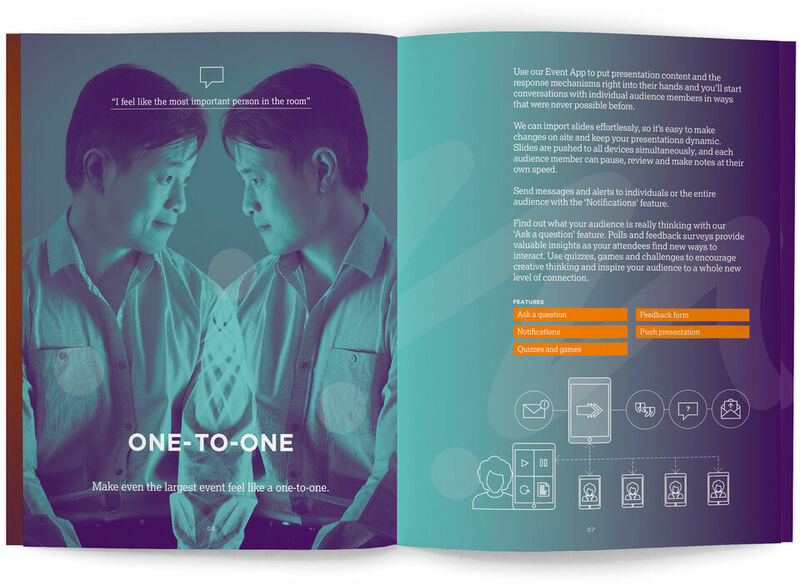 The whole experience, from the first meeting through to the on-time delivery of all our finished brochures and the launch of our multi-language website has been a pleasure. We are delighted.